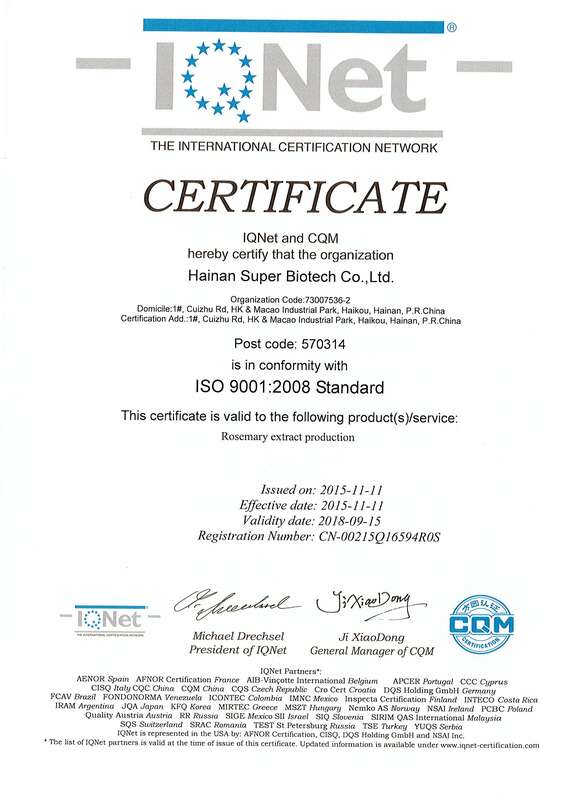 Super- Bio was Nov 11, 2015 received certification approval by China Quality Mark Certification Group and granted the ISO9001 Quality Management System Certificate. 1. Enhancing the international trade and removing technical barriers. 2. Controlling the company sub products quality. 3. Guiding the buyer to selecting and evaluating the suppliers. 4. Improving enterprise managerial ability. It encourages the enterprise to adopt process approach when develop and implement the Quality Management System. To achieve the acceptable products for customers through by identifying and managing numerous of interrelated activities, meanwhile manage them systematically and continuously monitor and control. Furthermore, the Management System furnishes a continual improvement framework and increases the satisfaction of customers and other parties. 5. Improving products quality, protect the consumer interests, promote products reliability. By System effective application to drive the enterprise to furtherance its products and processes continually, to permit the promotion and stabilization of its product quality is the most impactful protection for consumers interests absolutely, also is to promote consumers’ reliability in selection of qualified supplier products. 6. Be good for the enterprise to continuously improve as well as meet customer demand and expectation. Customers are constantly changed in their demand and expectation that drives the enterprise to improve its products and processes continually. However, the requirements of Management System furnish an effective way for the enterprise to improve its products and processes precisely.